Conversation Classes are a great way for you as a new English learner to practice and develop your skills in American English in a supportive and friendly environment. 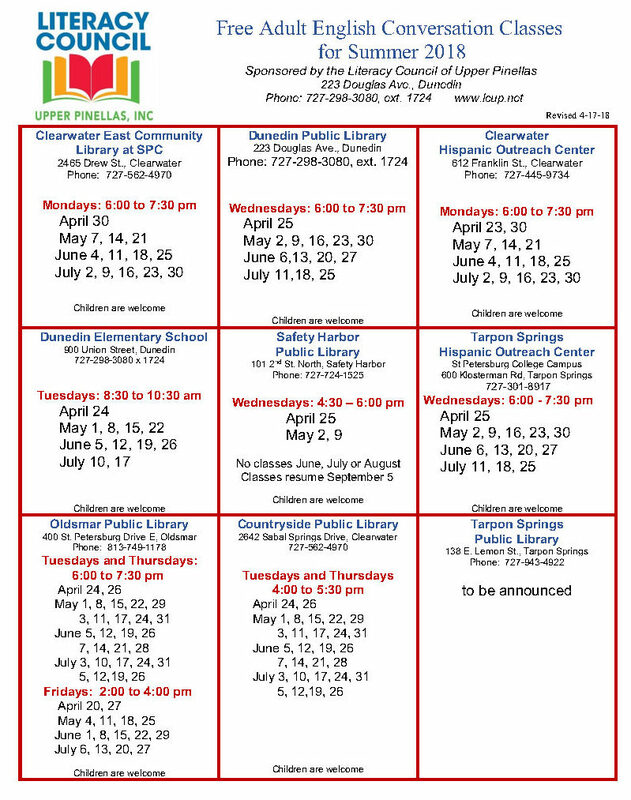 LCUP Conversation Classes are FREE and open to everyone. 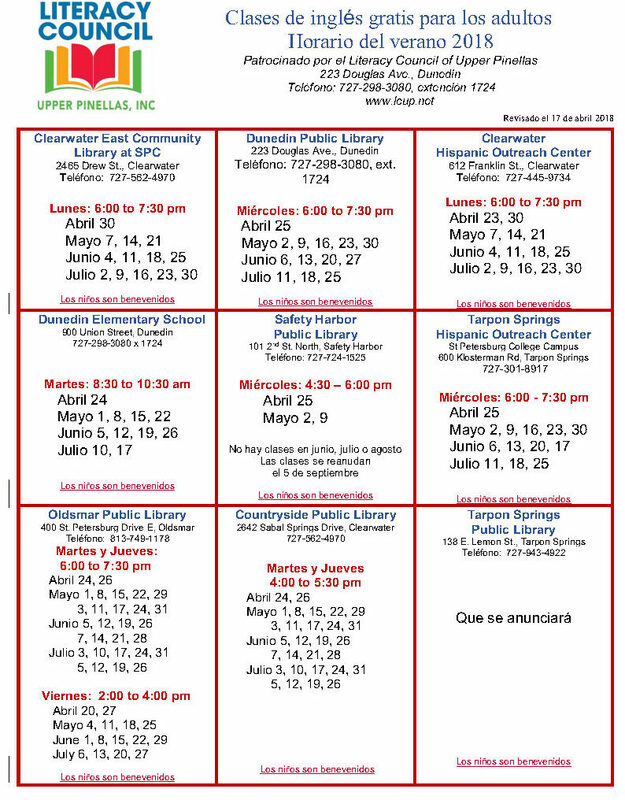 Currently there are nine English Conversation Classes organized by LCUP that meet in Public Libraries and Hispanic Outreach Centers.